This guide walks you through connecting with ServiceM8. This article will explain our integration with ServiceM8, and what it can do for your business. Please ensure that you have a valid ServiceM8 and Deputy account. First, you will need to log into ServiceM8 and navigate to the 'Settings' tab. Now click on the 'ServiceM8 Add-ons' button. On the next page, search for the Deputy add-on and click connect. The Deputy Integration Wizard will open up. 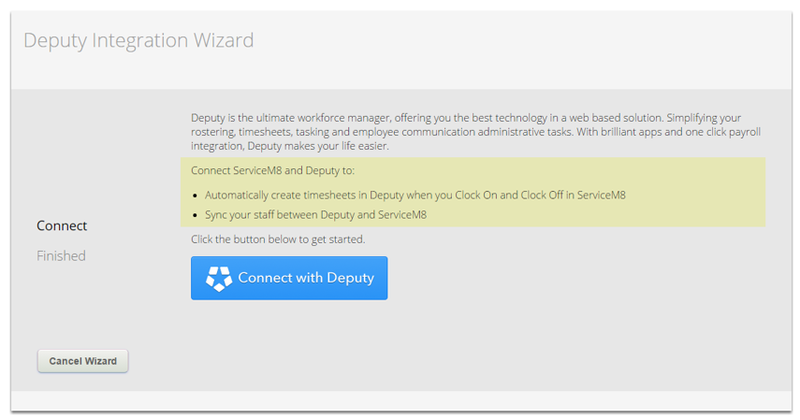 Click the 'Connect with Deputy' button to continue. Select the organisation you would like to connect to, then click 'Authorize'. The following box will confirm the connection. Now select the Default Area of Work, then click 'Finish' when you are happy with the changes. There are a number of functions you have access to when you connect your account to Deputy. When the connection is established, your employees will sync across all systems. 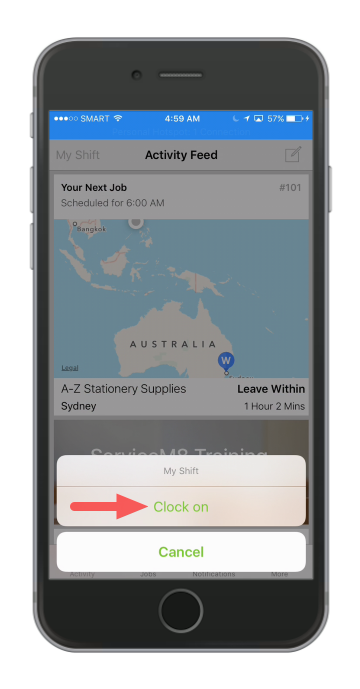 This prevents you from having to create your employees in both systems and wasting time. 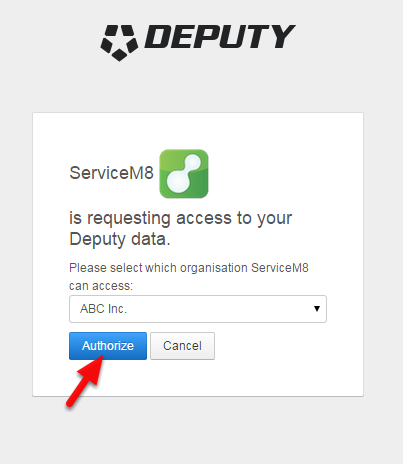 For example, any employees you already have in Deputy will be automatically added to ServiceM8. 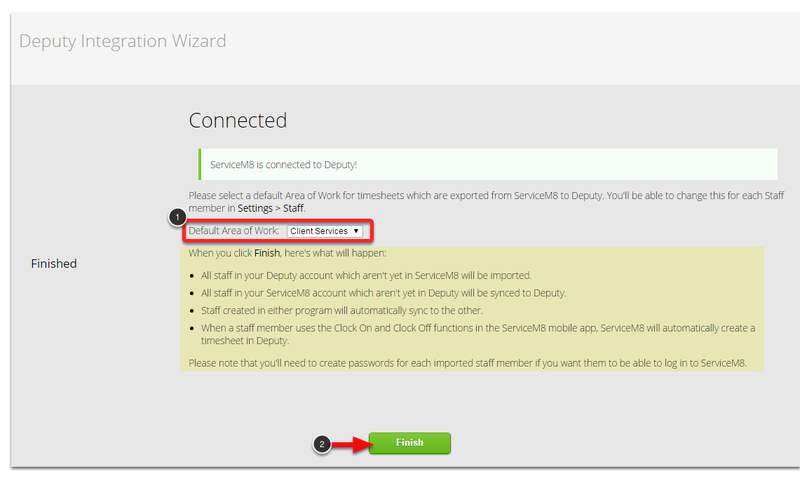 When an employee clocks in via ServiceM8, it will automatically create a timesheet within Deputy. This simplifies the steps, and allows you to easily process payroll via Deputy's timesheet function.